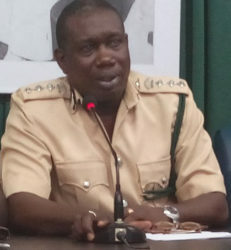 There is nothing out of the ordinary happening within the walls of the Camp Street Prison, according to Prisons Director Carl Graham, who yesterday urged the media to be careful with their reporting and to be on the lookout for prison officers who have their own agendas. Over the last few days, there have been many reports of a breakdown in order at the penitentiary, and of prisoners moving about freely and engaging in prohibited activity, such as openly smoking marijuana. Asked to comment on reports of a “free for all” at the prison, Graham yesterday said they were untrue. He, however, added that he had been informed that some prisoners were not where they were supposed to be at the jail. As a result, he said, he went to the prison and read the “riot act to the prisoners” last Saturday. 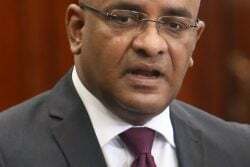 Graham said many of the prisoners are still angry in the aftermath of the March 3 fire, which claimed the lives of 17 inmates. He said that such an occurrence would affect any human being, regardless of who died. “Seventeen died one time and people will become emotional, we have got to expect emotions to rise,” he pointed out. 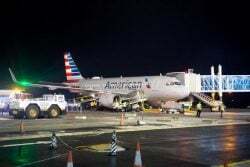 Nevertheless, Graham said that there was nothing “alarming” occurring and he informed that some of the officers who had reported sick last week have returned to their respective posts. 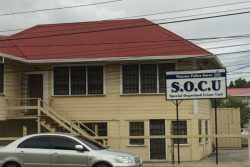 After only two out of 15 prison wardens on the roster for the day shift reported for duty last Thursday, President David Granger ordered that the outer cordons of the prison be extended to include D’urban, John and Bent streets, which will be blocked off to the public except for persons residing within those areas, as is done on Camp Street. 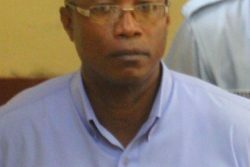 He also directed the Guyana Police Force to aid prison officers in manning the Camp Street facility and the Guyana Defence Force to help in guarding the outer cordons of its precincts. The Ministry of Presidency, in a statement on the situation, had noted that it was reported to the National Security Committee that inmates had become bolder and aggressive towards prison officers since the fatal fire. 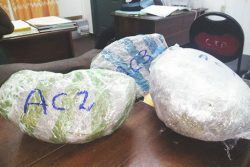 It further said that there had been reports of a rise in cases of marijuana being thrown over the prison fences and that wardens were afraid of being harmed by prisoners. He said that while he has been called by the newspaper, his comments refuting the accounts it has been presenting were left out. He made it clear that at no time were the prisoners in possession of keys or that a high profile prisoner was in the prison’s kitchen preparing food. He said that he was never informed of either of these incidents. He said had he been told that the particular prisoner was in the kitchen he would have caught “a fit,” since he knows what he is capable of. He said he has been present three mornings in a row at the prison to witness unlocking and the cleaning up and he has seen nothing unusual. He stressed the need for calm, which he said could be disrupted if untruths are published. “That is irresponsible… I don’t know if they are trying to be sensational or to sell papers but the media got a role to figure out what is factual because irresponsible reporting can cause issues,” he said. Graham also decried some “mischievous” prison officers, who he said have their own agenda. 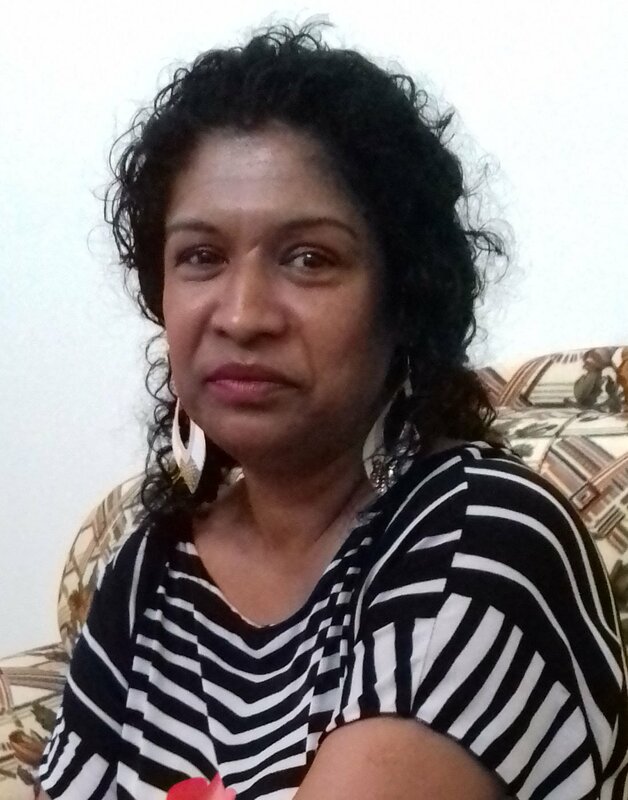 Stabroek News had been told that the wardens are very upset that the government took a decision to meet with prisoners after the prison fire. The unrest would have been brewing since the day before and continued the next day. The prisoners stopped their protest after meeting with Minister of Public Security Khemraj Ramjattan and Minister of State Joseph Harmon on March 4. During the unrest, wardens sustained various injuries. Last Friday, Graham said that the trauma may have been one of the reasons behind so many of his officers reporting sick. 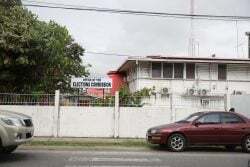 Stabroek News was told that the wardens feel betrayed not only by government but by the senior members of the prison administration, who they say have made no efforts to stand up for them despite their poor working conditions. Asked yesterday whether any of the officers have raised any concerns with him, Graham said that he only received one complaint in recent days. He said that all officers have an opportunity to relate anything on their minds during the parade held every morning. He said he has also had several meetings and there is a briefing session at every parade. He said that during Sunday’s parade an officer asked about what was being done to ensure the safety of ranks. Graham said the question caught him by surprise. “Your life is at risk every time you step into the prison. I find it strange… [that he asked] a question like that,” he said, while adding that an officer’s focus should be on being professional and ensuring the safety of all ranks and prisoners. “This is not an ordinary job …everyday your life is on the line,” he added, while noting that it is the negativity of some ranks that is creating a problem. 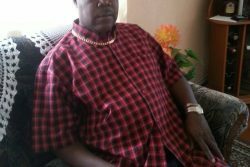 Graham told Stabroek News that he always stands up for his officers and does not allow them to go astray. He mentioned that during the unrest he stood “side by side” with his officers. He said while some feel that they must respond in kind if the prisoners’ language is threatening, that is not how professionals ought to operate. Graham said too that the recruitment process for the prison service is similar to the other services. He said that the only difference is prison officers are always in danger as whenever they turn up for duty they come face to face with men of a certain nature. He added that the prison system is really understaffed, mainly because of the prevailing circumstances, which include low salaries. “I wouldn’t pretend all is well and good,” he stressed, while adding that the prison administration is working hard to ensure that the prison is safe and secure. Meanwhile, a source said that the wardens are stressed out as they are putting their lives at risk but no one cares. “Whatever the prisoners say the administration just go along with it. It is a circus right now… They say they will get even for the 17 that died,” a source said before stressing that the wardens are in no way responsible for the deaths. It was noted that after the fire, no one went to see the officers to see how they were coping and to offer any form of support. This newspaper was told that the wardens work with no risk allowance or medical insurance even though they are away from their homes for more than 14 hours a day. 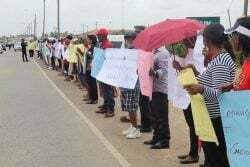 “When you leave home on a daily basis, you don’t know if you are going back home to your love ones…The top brass not doing anything, the prisoners talking anyhow to them too,” the source said. According to the source, the wardens have vowed that they will stay away from the prison as long as they could because they are fed up. It was noted that that unlike the other disciplined services, there have been no promotions in the prison service since 2013, even though prison wardens work very hard. “John Public nailing them to the cross but at the end of the day not one prisoner escape from Camp Street. John Public can have their rest at nights comfortably. They [wardens] need their voices to be heard. They have needs too,” the source said. 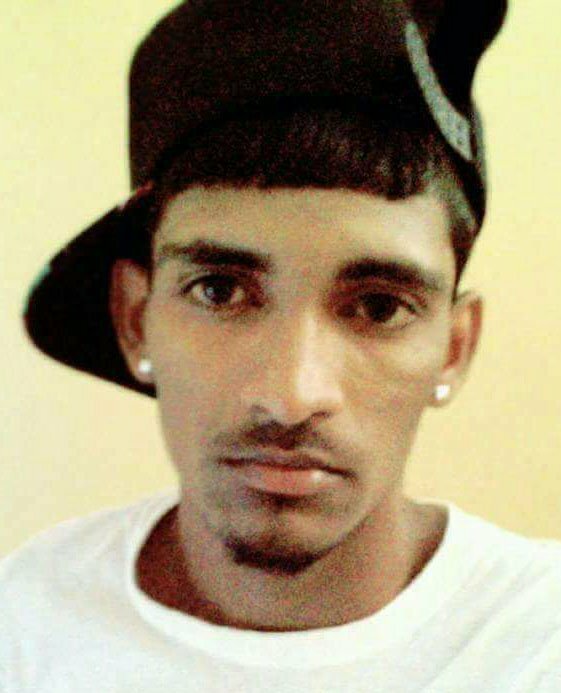 Asked about Carl Browne, a prisoner who is a regular Facebook user, Graham acknowledged that he is not permitted to have a phone but indicated that his device is never found when searches are conducted. “Regardless of how you search, you don’t find it. You need to search Browne but by the time you go, you can’t find it. 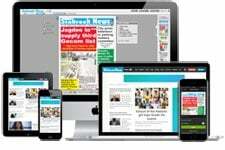 Prisoners are witty… it is just a matter of time,” he said. Browne, in a lengthy post last Friday, denied that there had been a takeover of the prison. “This prison is at peace and the people in this area are claiming that they have never heard this prison sounding so peaceful,” he said. He mentioned that the only abnormal thing happening at the prison was the presence of condemned prisoners out in the yard. “I also think they have a right to rebel to get sunlight on their body. It is inhumane to have prisoners living in Guyana Prison and can’t get sunlight daily. 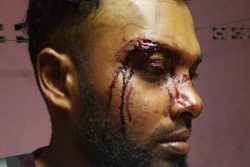 Some of [t]hese condemn prisoners are there for as long as 10 years awaiting Appeal Court but can’t get sunlight unless they go to the hospital or get a visit,” he said. Graham denied that prisoners are locked away in their cells and are not permitted to come out. He said that every day the prisoners are allowed out for exercise under supervision.